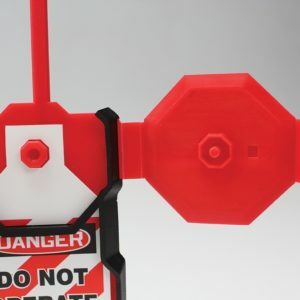 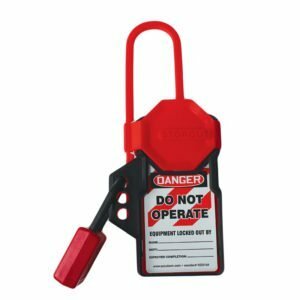 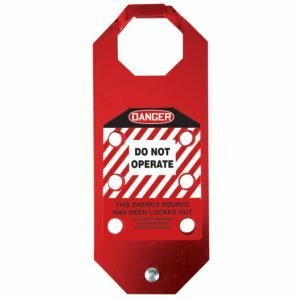 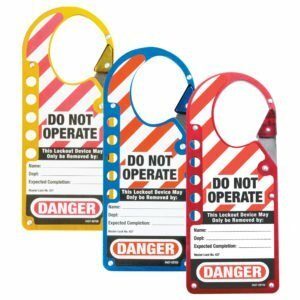 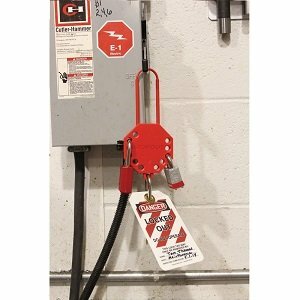 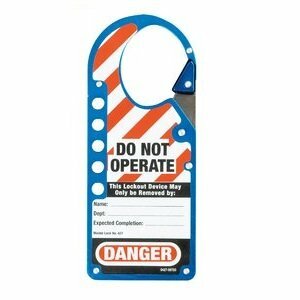 Lockout hasps are a neat way of enabling multiple workers to isolate and work on the same piece of machinery or equipment. 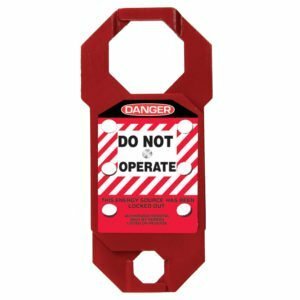 The hasp is fitted to the isolation point. 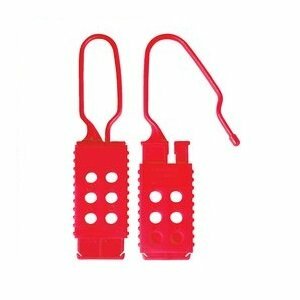 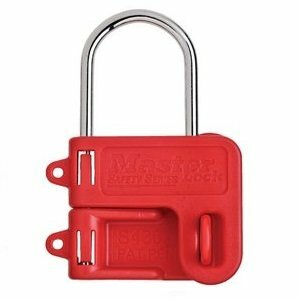 The multiple workers can apply their lockout padlock. 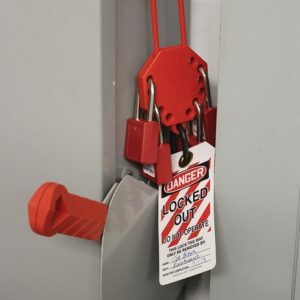 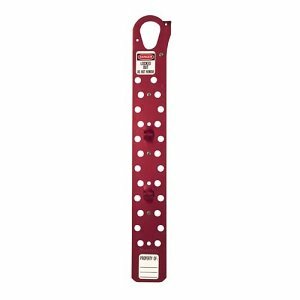 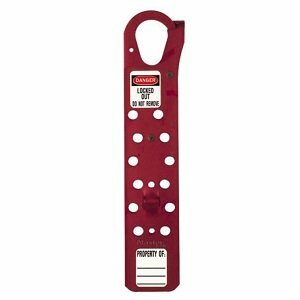 The hasp ensures that energy cannot be restored until the last worker has removed his padlock.